Our philosophy at The Killers Crawl Space Restorations has always been to provide the best in customer service and satisfaction. We strive to take the needs of the customer to heart, all while also working to improve the environment around us. For over thirty years, Crawl Space Restoration has offered service that customers can rely on. We will make sure you are completely satisfied with the work that is done. 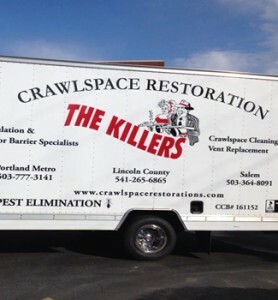 The Killers Crawl Space Restorations has continued to grow throughout its history, provided reliable and effective services to more and more people in a variety of different areas. The first offices, located in Salem and Newport, were purchased by Rick Bock in 1991. 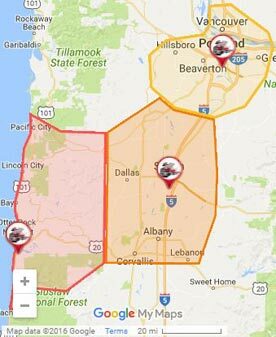 In 1994, Rick hired Matthew White, and together the two of them have expanded the business throughout the Portland Metro area. Matthew was promoted to Head of Operations in 2001, and, alongside Rick, strives to reach the goal of offering customers the best service around. Our staff is highly trained and knowledgeable, as Rick and Matthew, now co-owners of The Killers Crawl Space Restorations, will only let the best employees work in the homes of their customers. Over 4000 customers have trusted them and their staff to provide excellent work and satisfactory service. If you need crawl space work done in your home, contact TheKillers Crawl Space Restorations and get the attention you deserve.